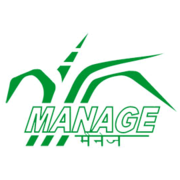 MANAGE Recruitment 2019 - Walk in for Consultant Posts in MANAGE, Hyderabad, Telangana. Candidates are invited by National Institute of Agricultural Extension Management (MANAGE) to attend walk-in-interview to be held on 30 Apr 2019 at 09:00 AM for 2 vacancies. 1. Working experience in AC&ABC, DAESI, STRY or other Central sponsored schemes. 2. Proficient in computer skills. 3. Ability to coordinate with multiple. 4. Good oral and written communication skills to handle session’s on program orientation and report compilation.